Happy Trails, Dad! – Beware the Comfort Zone! As a kid, I adored my dad, even though he would do lots of goofy, quirky things that I think are a requirement to be a good father. We had a Little Golden Book that was poetry for children that he loved to read before I went to bed. I hated it, but let him read it because I knew it made him happy. He would whistle constantly, which also drove me nuts, and I let him know it. He would randomly sing silly songs such as “Happy Trails to You” and hum the occasional Christmas tune, even in July. He loved to play classical music and opera, at the loudest possible volume tolerable, which for me, was about a “1”, but for him, louder was better. And even recently, he would constantly tease me about moving overseas with comments such as, “I read the Philippines are closed, no one is allowed to go now” or “you’re grounded, you can’t leave the state”. OK Dad. 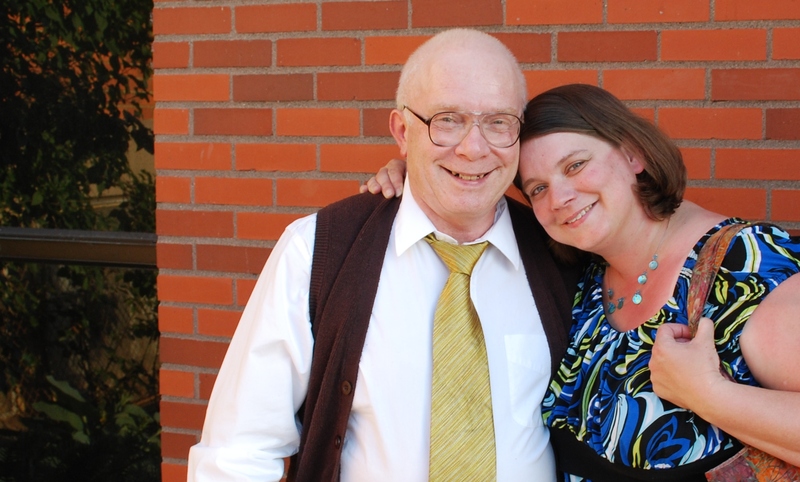 Despite all this, he was also the dad who braved taking a dozen giggling girls window shopping on my 11th birthday, taught me to drive, watched silly Christmas movies with me, even in July, and cleaned the bathroom the time I got the flu. I had never had the flu, he was sleeping after working night shift, and instead of rushing to the bathroom when it attacked, I ran in to his room, woke him up, yelled “I’m gonna be sick!” and ran for the bathroom. I missed the toilet. By a long shot. Oh, did I mention I was like 15? Yet, he crawled out of bed, took care of it, and never mentioned it again, even when he had plenty of chances to use it as a revenge story. All three of his girls had our ups and downs with him, as most dads and daughters do, but overall, he rocked! My dad passed away a few weeks ago. This comes on the heels of my mom heading to Heaven just four months ago. While my mom fought illness and physical pain for the last handful of years, and it was almost a relief to see her go peacefully, and be released from her pain, my dad went quickly and unexpectedly. He has had his share of small health issues, but they’ve been minor and he’s kept plugging along. My mom’s death was devastating to him. After caring for her for years, I think he lost a sense of what his “purpose” was. He was starting to move on though, things were looking up. My oldest sister lives nearby, and she was checking in on him daily. Last month she stopped by, and he was complaining of stomach pains. She took him to ER, and they operated immediately, and removed a large tumor. Long story short, he had Stage 4 incurable cancer, and he went home to spend his last days in my mom’s bedroom, where she spent hers. Both my sisters stayed with him until the end, just like with my mom. Several of the same caretakers were involved with caring for both our parents, which was bittersweet. They are now forever part of our family, I just wish it was for happier reasons. I last saw my dad on Thanksgiving, a week before we left for the Philippines. It was a nice last memory, we parted on good terms, no unforgiveness, no confessions left untold. I hate the fact that it was our last goodbye, and I didn’t know it at the time, but I’m glad we had a chance to have it. After my mom died, I worried about him constantly. I know he’s a big boy, but I feared what would happen since he felt he no longer had a job or purpose. I don’t know, maybe God felt the same way, and decided it was time for him to come home too. I got to talk to him through my sisters toward the end, since he was too weak to talk on the phone, but he repeatedly expressed excitement about going to see my mom. Hs memorial service was small, unfortunately we were only there is spirit, but that it’s yet another sacrifice that has been made to be where we feel God wants us. My dad served in the Air Force, and my nephew who is in the Army represented the military there. 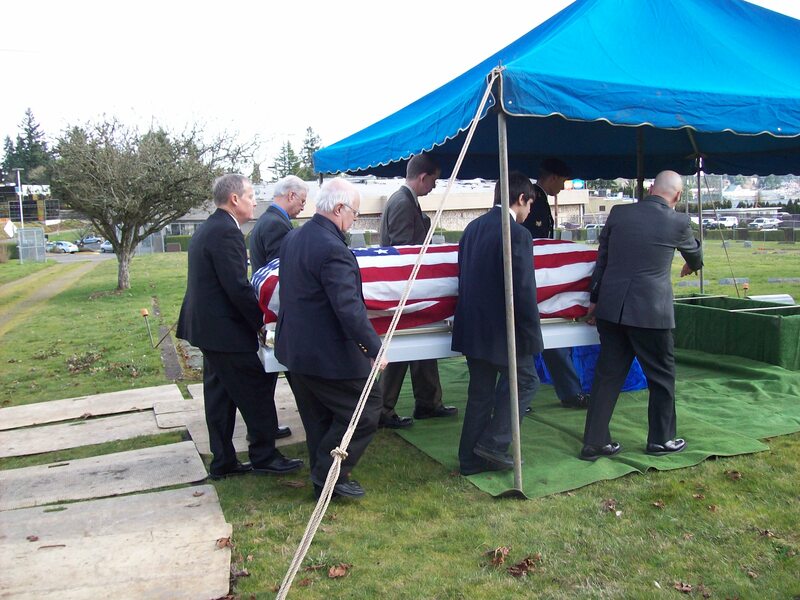 He folded the US flag that covered my dad’s casket and presented it to my oldest sister, who will keep it as a family treasure. Losing both parents in such a short time is something I never would have imagined I would ever have to deal with, especially while being thousands of miles away. Yes, we knew there would be sacrifices, but I think it’s similar to saying you have faith. It’s easy to say you have faith, or that you can deal with the sacrifices necessary to serve God, until you are faced with actually needing to have faith, or realizing what sacrifice truly means. I miss my dad, it’s hard not having his emails in my inbox, or having the phone ring with his sweet voice on the other side. But, I know I’ll see him again, so happy trails Dad, see you on the other side. Previous Post Sweet, Sweet Progress! Next Post Which Way to the Big and Tall Store! ?